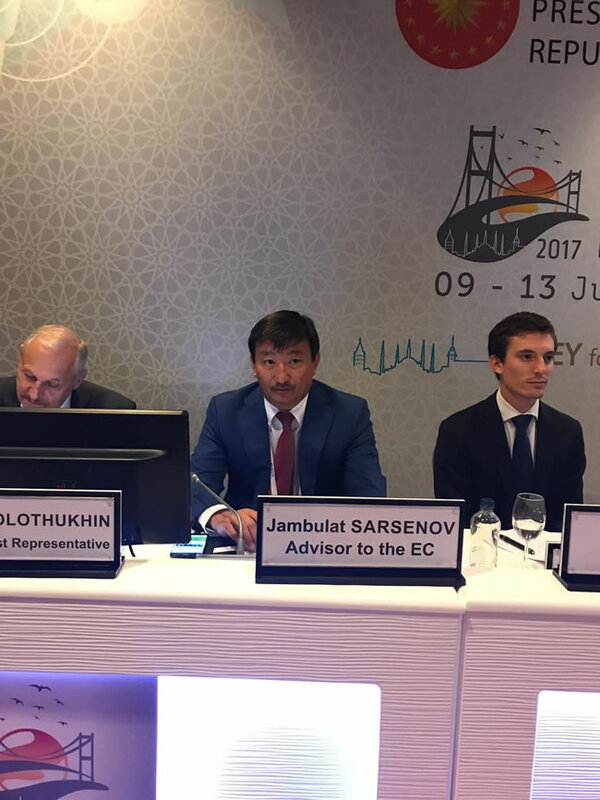 Jambulat Sarsenov, who represents Kazakhstan and who has replaced his predecessor – Chairman of Petrochina Zhou Jiping, is elected Vice President for Marketing and the Member of the Executive Committee of the World Petroleum Council (WPC). The relevant resolution is made within the 22th World Petroleum Congress held from July 9-13, 2017 in Istanbul (Republic of Turkey). 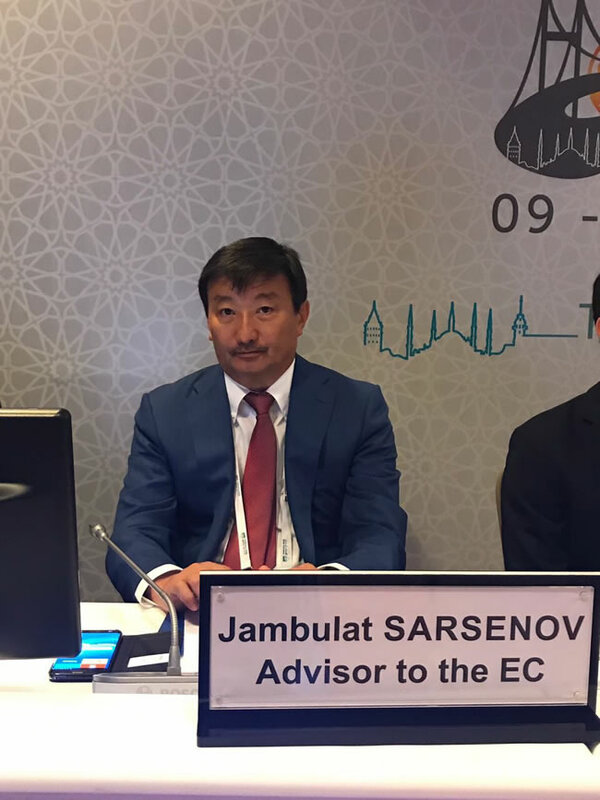 Jambulat Sarsenov’s candidature to be elected Vice President for Marketing and the Member of the Executive Committee of the WPC was represented by Kazakhstan National Committee of WPC headed by Timur Kulibayev and was unanimously supported by the members of the Council. Holding new position, Jambulat Sarsenov will coordinate the whole work of all WPC participating countries on such important activities as strengthening and promotion of the Council’s positive image in order to optimize relationships between all its participants and stimulating further effective development of national and international oil companies. In addition, new Vice President of WPC will supervise the issues concerning uniting oil interests and experience of East and West countries, especially – not English-speaking countries – in particular, one of the tasks will be formation of the fruitful dialogue platform for them. Also, it will supervise combination and agreement of skills and competences of young talented specialists and experienced professionals within WPC. Currently, KAZENERGY Association has a huge and successful experience of international cooperation, in particular, in promotion of image of the Republic of Kazakhstan at the world energy arena. Largely due to the activities of the Association, Kazakhstan, currently included within the “twenty” world's leading manufacturers of primary energy resources, over the years has been skillfully maintaining the relationship balance not only with the closest neighbors - Russia and China, but also with the USA, EU, Middle East and others, having increased the reputation in the world. The Association’s Council, the Coordinating Councils are successfully operating within KAZENERGY in all activities, including international relations. The Association is the working body of Kazakhstan's participation in the International Energy Charter, cooperates with the International Energy Agency IEA and the Renewable Energy Agency IRENA. Also, the Association is the representative of Kazakhstan in the activities of the International Energy Forum IEF, is the Global Partner of the World Energy Council, is the member of the National Council of Stakeholders of RK for the Extractive Industries Transparency Initiative (EITI). 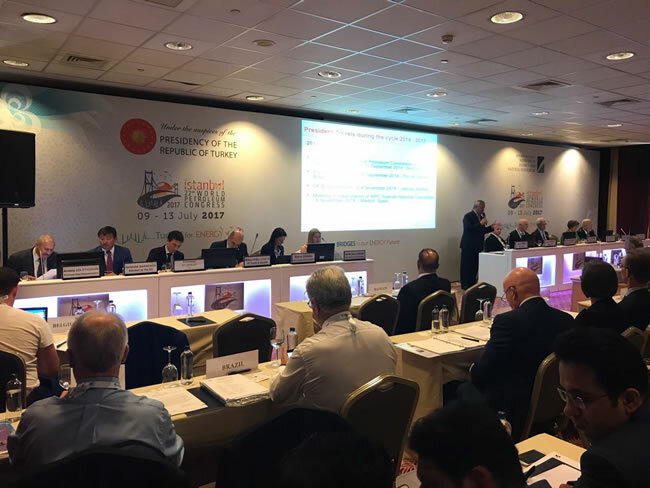 In addition, over 12 years, the Association has been annually holding KAZENERGY Eurasian Forum, the scales of which have increased significantly in recent years. In 2017, KAZENERGY has become the partner of the largest international project EXPO in Astana designed to make incredible discoveries in “green energy” development around the world, including Kazakhstan. In order to form complex outlook of the current state and prospects of energy field development in Kazakhstan, the Association developed the National Energy Report reflecting the strategic view of KAZENERGY on the sustainable development of oil and gas and energy fields of the Republic of Kazakhstan as a uniform system. Kazakhstan intends to offer WPC to prepare similar reports on market development and forecasts within the Council. Thus, assignment of Jambulat Sarsenov for the senior position in WPC is the next step in strengthening the image and position of Kazakhstan represented by KAZENERGY Association in the world oil market, this will provide rapid and effective resolution of the promoted initiatives, will facilitate the exchange of experience and best practices and will provide new cooperation dynamics between all member countries of the Council. As reported, Kazakhstan became the member of the World Petroleum Council in 1997. In 2008, the activity of the Republic in this international organization was activated with the accession of KAZENERGY Association and the formation of Kazakhstan National Committee. Membership in the WPC provided our country with access to the most important information on the latest scientific and technological achievements in oil and gas field around the world. Since then, Kazakhstan and WPC have closely and fruitfully cooperated on the most relevant issues and problems in energy, oil and gas field, including sustainable development, integration processes, development of the legislative framework, local content and others. The annual meeting of the Executive Committee of WPC was held in 2012 within the framework of KAZENERGY Eurasian Forum in Astana. WPC is the most important event in oil and gas industry held by the Permanent Council of the World Petroleum Congress. Thousands of specialists from around the world meet at this forum every three years in order to familiarize with the most modern technologies of oil and gas production and with the methods of managing this business. For the first time, WPC was held in 1933 in London.